Foreclosure and the loss of your home is a trauma no family or individual should have to go through. There are ways to avoid foreclosure and keep your home. Bankruptcy is one option if you need extra time to stabilize your financial situation. 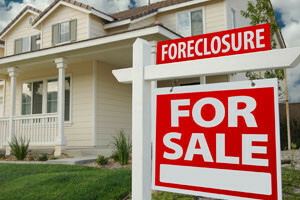 Foreclosure mediation is another option. While not saving your home, negotiating a short sale of your home can prevent both bankruptcy and foreclosure from appearing on your credit record and may provide you with some cash if you had equity in your home. If you are behind on your mortgage payments but the bank hasn’t sent a real estate foreclosure notice yet, contact a bankruptcy lawyer at Volman Law at (203) 929-7771 to schedule a free initial consultation. Understand the options available to you. The home at risk of foreclosure must have been your primary residence for at least two years. There must have been no other foreclosure actions brought against you in the previous 7 years. You must not be receiving emergency mortgage assistance and you must not have applied for emergency assistance for the prior two years. To be considered underemployed, your income during the prior 12 months must have been less than $50,000, or less than 75% of your average annual earned income. The court will decide if you are eligible for unemployed and underemployed homeowner protection. The court will consider whether you are likely to be able to make timely payments on a restructured mortgage and whether the loan restructuring would be prejudicial to the lender or a lien holder. Your mortgage will be restructured by the court so that your mortgage arrearage is eliminated within a period of up to six months. The court may ask you to pay the lender up to 25% of your net income per month. If you are able to maintain your new, restructured loan for three months, then the house foreclosure action will be dismissed. If you live out of state, but your property is in New Haven or Fairfield Counties, we can handle the home foreclosure matter for you. You do not have to return here. If you are behind on your mortgage payments but the bank hasn’t sent a foreclosure notice yet, contact a bankruptcy lawyer at Volman Law by e-mail or call (203) 929-7771 to schedule a free initial consultation.